Summer Slide or Summer Soar? Students forget an average of two months’ worth of learning during the summer vacation unless they have regular reviews of their knowledge and skills. 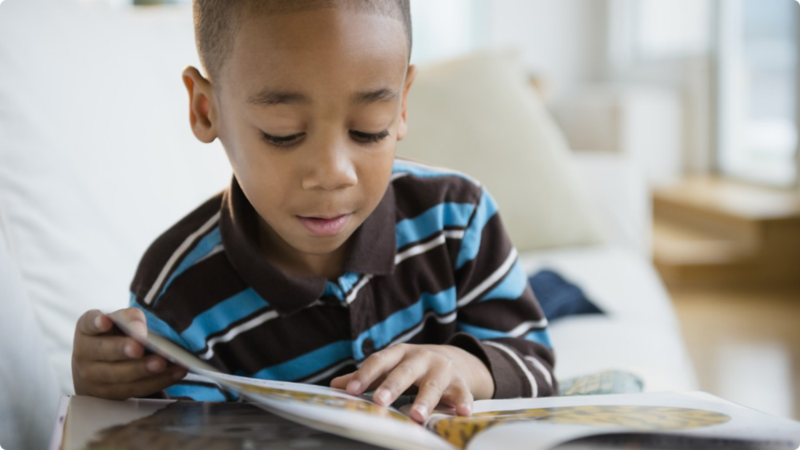 Since the losses are cumulative, by the end of sixth grade, children who lose reading skills during the summer can be about two years behind their peers because solid reading and writing skills are required to succeed in all subjects. When they return to school in the fall, students are presented with new material, making the summer loss even more difficult to regain. Not only have students forgotten knowledge and skills, they often have forgotten how to study as well. Fortunately it doesn’t have to be that way. Your student can soar instead of slide! During summer there is time to review, not only to reinforce learning, but also to identify portions of a curriculum that the student might have missed. There is time to re-teach so that the student can catch up. There are usually gaps in prior learning, material not fully understood the first time it was presented, perhaps resulting in a “D” test grade. Then the class would have moved on to a different subject or on to build upon that material, leaving the student even more bewildered. Lear Educational Center is here to teach your student what might have been missed, to reinforce prior learning and to help advance your student. Much can be done at home help the student retain knowledge and skills during the summer vacation. Set aside a regular time each day and arrange for a special study area where supplies are convenient and distractions are at a minimum. Help the child make a list of learning goals for the day, for the week if it won’t be overwhelming. As your child sees his progress, he will feel a sense of accomplishment. Visit the library. Students should have books on their favorite subject and at the appropriate reading level. Encourage the student to read portions of the book aloud and to talk about what he has read in his own words so that you can monitor his comprehension. Reward him with praise for each book completed. Writing and reading, basic skills for all learning, are interconnected and children are less likely to write during the summer than they are to read. Encourage your student to write short notes if he is very young or, if older, to write about books he has read, to keep a journal, to write about family trips or a favorite subject. Maintain math skills in daily activities as much as possible. You could routinely asking ‘how many are there?’ and ‘how many would we have?’ or ask the student for help with calculating miles to travel, speed, arrival time for a family trip, depending on the child’s grade level. A feeling of accomplishment and of readiness to return to school in the fall will make your student’s vacation time rewarding as well as fun. We’re here to help! Yay! They’re home from school and ready to relax, join their friends outdoors or watch television. Yet there is homework to be done and the sooner after the classroom lesson that the homework is done, the better the student will be able to recall what was just taught and the easier it will be to do the homework. They’ll most likely be hungry too. Depending upon how long it is before dinnertime, they might be accustomed to after school snacking. If so, snacks which include plenty of protein for lasting energy would be the best to offer. Sugars, concentrated carbohydrates, provide only a short burst of energy after which there may be a slump of sleepiness. Whatever the case, it’s beneficial to encourage the drinking of water instead of carbonated beverages. Being well hydrated helps to keep the brain alert. It’s best to have a routine time for homework and a designated area as well. A place where supplies are convenient and distractions are at a minimum would be ideal. Maximizing the attention is key to completing homework correctly and efficiently so there is still plenty of time for the student to play and relax. Making a brief written homework plan each day teaches your student to be organized and purposeful as well as helping to recall exactly what the teacher said to do. Even though your student should be writing down each assignment in a notebook while still in class, notations can get missed or forgotten. Ask your child about each subject's assignments and make certain that they are written down at the outset so that they can be checked off to provide a feeling of accomplishment. Help your student plan his homework goals with time management in mindso that adequate time is spent on the more difficult subjects first as that’s when memory is keenest and attention is sharpest. Besides that, your child will feel a sense of relief when the most difficult is completed rather than experiencing dread if it is looming ahead to be done. Attention can be like a slippery fish. When students are able to pay attention, they can participate and they are more likely to pay increased attention when they can actively participate. 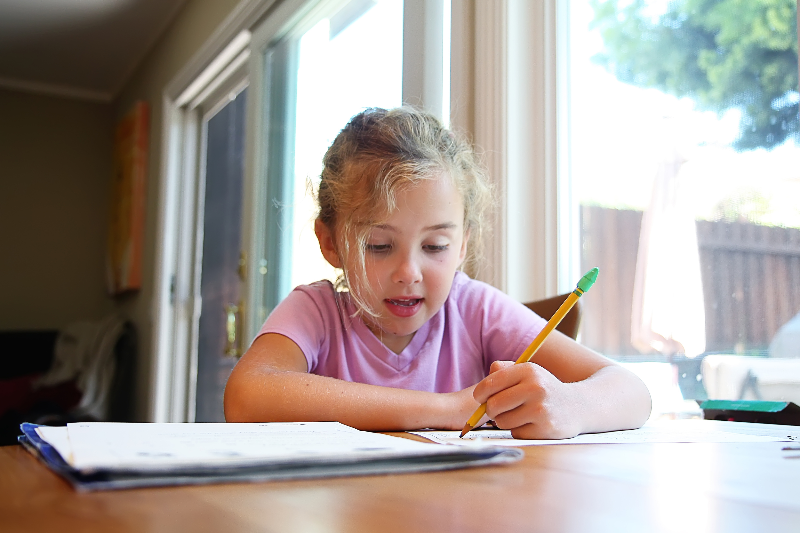 In addition to its being a learning experience, homework is practice in paying attention, preparing to participate. Your student might complete assigned reading without remembering what he or she read. Sometimes it’s difficult to concentrate. 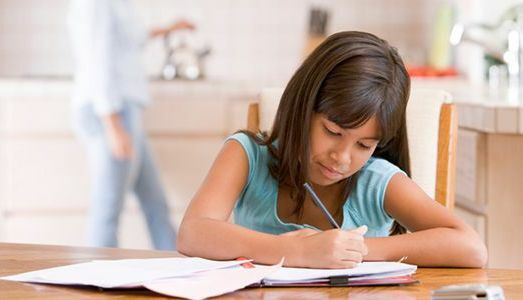 Keeping a pencil and paper handy for the student write down key ideas from each paragraph will help to keep your child on track as to what he or she is learning and will reinforce the knowledge as well. This is also a good exercise for note taking and can prove to be a study guide too. Mind-wandering can occur while doing math problems and that often leads to unnecessary errors. Homework checking is always a good idea so that mistakes are identified early on and can be corrected before the student perpetuates the errors. Often it’s just that the student wasn’t paying attention and the having to do some problems over means extra time to complete homework or a lower test score in class. Early identification and correction of math errors is necessary for the student to successfully progress on with new material. If necessary, ask the teacher to re-explain a math procedure before the teacher moves on with new material which may leave the student lost in class. The student who is lost in class is uncomfortable, is unable to participate and finds it difficult to pay attention to the new learning as he just doesn’t know what is going on. Since a due date of ‘a few weeks from now’ might seem like ‘forever away’ to your student, it’s a good idea to inquire regularly about project assignments which your child might not think to mention because they are not due immediately and he or she doesn’t consider them ‘homework’. Talk with your student about the project and the steps which will need to be taken in order to complete it, including library visits and gathering supplies. The individual steps can then be scheduled so that the child will feel comfortable with having the project assignment rather than feeling overwhelmed or avoiding the thinking about it altogether. It’s easier to pay attention, to focus upon an individual step and to complete that step well, knowing that plans have been made for the next steps and that the project is going to be completed on time. He or she will have the satisfaction of moving along in achievable small and meaningful stages, making progress toward the outcome. The ability to plan, organize and complete a long-term goal is an important skill for a child to learn. The ability to focus, to pay attention, is a time-saver and an achievement maker. At Lear Educational Center students are taught time and attention management strategies to meet their goals of today and challenges of tomorrow. Catch up, keep up, move ahead in the summertime! For students that want to stay focused or get ahead of the game, our summer classes are ideal for social development, tutoring, and advanced learning. It’s THE time for reviewing, reinforcing, filling in the gaps from prior class work, getting ready to focus on the new material to come in the fall. At Lear Educational Center, we assess and identify strengths and weaknesses in spelling, reading, and comprehension, as well as in mathematics. We interface with schools to meet remediation goals and to facilitate the development of IEPs and 504 Plans if needed. We provide one to one tutoring which encourages the student to ask questions, leading to a better understanding of the material. In a classroom setting, students are often reluctant to question when a concept is not fully understood. We use the widely acclaimed Wilson Reading System to maximize reading, spelling and comprehension proficiency. As the student develops mastery of prior learning, enthusiasm and confidence in their readiness for advancing in the next school year grows as well. If you arrive after testing begins, you will not be permitted to enter testing facilities and will have to reschedule. The staff can confiscate your phone or can even cancel testing scores if it’s in use during testing. Testing will be between 3 and 4 hours depending on whether you choose to do the essay portion. There will be breaks in between sections of the test to snack, stretch or take a bathroom break. Calculators will be permitted but only during designated portions of the test and have to be within testing guidelines. With SAT and ACT testing dates coming up it’s important for students to practice and prepare! It’s time to sharpen those number 2 pencils and hit the books, because deadlines are approaching for the SAT and ACT testing. If there are certain subjects that students may need a little extra attention in, we can help. Our teachers can provide extensive help with math, reading comprehension, writing and problem-solving skills. Whether students plan to prepare days, weeks, or months in advance, we can help students to secure admissions into college. SAT and ACT testing are important for college eligibility and may be helpful to students who may have a lower GPA. Standardized testing scores that are higher will increase a student’s chances of being accepted into their dream school by helping their applications stand out. ACT stands for American College Testing, and is quite similar to the SAT test but differs in content and writing structure. Just like the SAT test, the ACT will cover a series of multiple choice questions in math, English, reading, science and writing. Depending on the college or university, scores on both tests may increase the likelihood of being accepted into certain schools. For many prestigious schools it is a requirement, and for others it will be a competitive advantage. There is also the possibility of scholarships to be granted for students who apply for them. 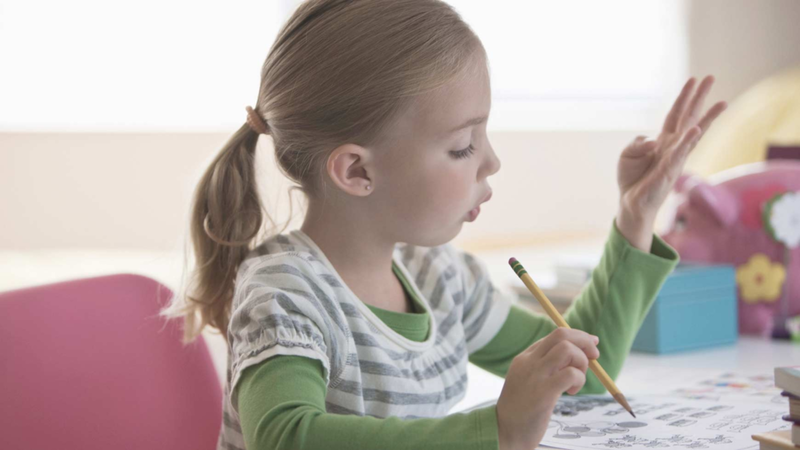 If a student is having difficulty with ADHD or Executive Function Disorder there are many ways to help get them organized both in the classroom and at home. While getting focused doesn’t come easy with these learning differences, there are some small, yet valuable things you can do to assist them in learning information and to help them stay on schedule. Executive Function disorder can be a hereditary irregularity, injury related, disease related, a or difference in brain structure and brain chemicals. A qualified health professional or an educational professional can help to determine if your child is struggling with this disorder. Educators can provide comprehensive tests to determine whether or not there are learning differences that may be associated with EFD. Many students with similar symptoms are also diagnosed with ADHD. A student with this disorder at any grade level can benefit from the use of certain tools to become more efficient in school and at home. Elementary level students generally benefit from Multi-sensory learning because it helps keep them focused and attentive. Multi-sensory learning helps younger students to maintain interest in the material they are learning. These younger students may need to hear, see, and feel during their lesson plan in order to better recall what they have learned. Outlining writing assignments using graphic organizers or Venn Diagrams will also improve productivity. It helps the student organize their thoughts and information so they can draw a clearer conclusion. Using timelines to plan a process for storytelling helps the student to plan future projects in chronological order from start to finish. Mind-mapping concepts is a crucial learning skill that with practice can become a good foundation for these students in the future. Secondary level students may find the us of planners, organizers, tabs, labels and folders helps them to stay on track with homework, tests and writing assignments. Think about starting a plan for each assignment from beginning to end. A good example is to distinguish topics, research the topics, organize materials, and then to outline key information. The goal is to have the student prepare, organize, and complete each stage and get them accustomed to this routine for every assignment. Doing this will also help manage tasks to be done at home. Write a to do list for each day, including chores, homework, projects, and study time. High school and pre-college students may need extra time on tests, or help with time management. As these older students begin to have a more demanding schedule and more responsibilities it may become difficult for them to manage certain dates and deadlines. Knowing how long it may take to complete a project is something they will struggle with, so have them maintain a calendar so that they are constantly aware of important due dates. If necessary, have educators provide a monthly agenda for them. The challenge will be to keep them accountable for everything they will need to remember to do. Older students who have access to more technology-based assistance can use online reminders and read aloud options to their advantage. Remind them not to get frustrated when they feel overwhelmed and overloaded with assignments. If these students are struggling with time limitations, talk to educators about possible extensions for projects or tests. Proper nutrition promotes learning! Not only does proper nutrition improve the student’s mood, it also promotes alertness, maintaining attention, participating in classroom activities, learning and recalling effectively. In addition, it reduces absenteeism in the education system. It’s a good idea to start the day with a meal high in protein. Protein rich foods are said to improve cognitive function and help to sustain energy for a longer period of time. Whole grains also help to sustain energy, as opposed to refined grains found in white bread, cereals and pastas. These tend to quickly spike blood sugar levels which is then followed by an energy crash. These grains are also harder to digest, making us feel sluggish or unmotivated. This is why the gluten-free and grain free diet trends have become so popular. If gluten free is not an option, it is important to be mindful of not adding these refined grains to multiple meals each day. Try adding nuts or peanut butter to breakfast smoothies to increase your child’s daily serving of protein. Nuts also provide a convenient and healthy alternative to crackers, chips and sugary fruit snacks. If nuts are out of the question due to allergies, fibrous vegetables such as celery, broccoli, carrots, cucumber and cauliflower, will also keep them feeling full longer and keep their energy reserve going throughout the day. For children who tend to be hyperactive, reducing sugar can greatly improve their productivity. This helps promote better memory, focus and comprehension. Sugar is fine in moderation, but it is important to be aware of how much is in those fruit drinks and other snacks you’re giving your kids. You might be surprised at the amount of unnecessary sugar that is added to those fruit juices on our grocery store shelves. Try introducing sugar free options without sugar substitutes in them. Moderation is key, and it’s usually better to exchange processed sugars for natural sugars. Fruits such as blueberries and strawberries have natural sugar and are packed with antioxidants and fiber as well. Water is a highly underrated component to proper mind and body nutrition. Staying hydrated reduces inflammation of the body and brain, controls energy levels, and affects positive mood, memory, and sharpness. Try to get in the habit of providing an adequate amount of H2O every day and to remind your children of the importance of hydration. Finally, sleep is probably one of the most important components of healthy brain function. Certain foods, such as bananas and other magnesium-rich foods help promote healthy sleep cycles, thus encouraging better concentration for the day ahead. Try to stay on a consistent bedtime schedule to ensure sleep without disruption. When we get a sufficient amount of rest our bodies and minds have time to reset and repair themselves. Overall, with some small changes in lifestyle and good nutrition practices you can improve your child’s attitude and encourage positive learning habits! If you’re interested in learning more about how proper nutrition can promote learning in the educational system, visit our friends at Virtual Medical Center for a more in-depth look! 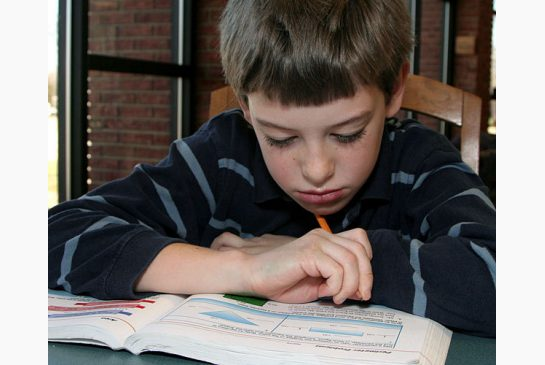 Students with dyscalculia have difficulties with mathematics. Often they don’t understand the basic concepts of numerals, quantities or comparisons. They also may have problems relating the numerals to the words describing them, for example, the numeral 10 and the word ten. This hinders their ability to perform calculations, especially those calculations with multiple steps or in word problems. Perhaps your child wasn't in class when a key concept was introduced by the teacher, or maybe your child was distracted or simply didn't understand fully what was being taught. Homework or exercises in class on the subject may have confused the issue further and then, as the key concept was built upon in the next lessons, the child may have become uncomfortably bewildered and felt too sheepish to ask for yet another explanation of the original key concept. As the rest of the class advanced in the subject, the child may have fallen even further behind his classmates. Lear Educational Center is here to help students catch up, keep up and move ahead. Learn more about the need for tutoring here. Autism Spectrum Disorder is characterized by difficulties with speech and nonverbal communication, by unusual and repetitive behaviors, by difficulty with changes in environment and routines, social challenges and often by unique strengths. Autistic Disorder with significant language difficulty; social and communication challenges; repetitive behaviors such as hand flapping, rocking and spinning; obsession with unusual objects and often an intellectual disability. Asperger Syndrome with milder symptoms of Autistic Disorder. They might have social challenges and unusual behaviors and interests, yet they have normal language and intellectual ability. Pervasive Developmental Disorder– Not Otherwise Specified (PDD-NOS) with milder and fewer symptoms than with autistic disorder yet which might cause social and communication challenges.